Photography amplifies the truth with stillness. In that single frame, that isolated millisecond, a truth is revealed, a visual message that can be understood regardless of language, culture or economic status. For Orin Langelle, photographer and board chair of Global Justice Ecology Project, that message is to document a truth we face at GJEP every day – the struggle to create a world that prioritizes social and environmental justice. Since 1972 Langelle has given a voice to these conflicts in his powerful images, documenting peoples’ resistance to war, corporate globalization, ecological destruction and human rights abuses. From protestors and policemen at Vietnam War protests to going behind rebel lines with the Zapatistas in Mexico, Langelle has seen the world change through the lens of his camera. Note: Orin Langelle is a co-founder of Global Justice Ecology Project and is currently GJEP’s Board Chair. He is assembling 40 years of his photography that chronicles the movements for social and ecological justice around the world. Orin Langelle is a concerned photographer, who for four decades has been documenting peoples’ resistance to war, corporate globalization, ecological destruction and human rights abuses. Langelle’s first photographic assignment was to cover the protests against the Vietnam War at the 1972 Republican National Convention in Miami Beach. 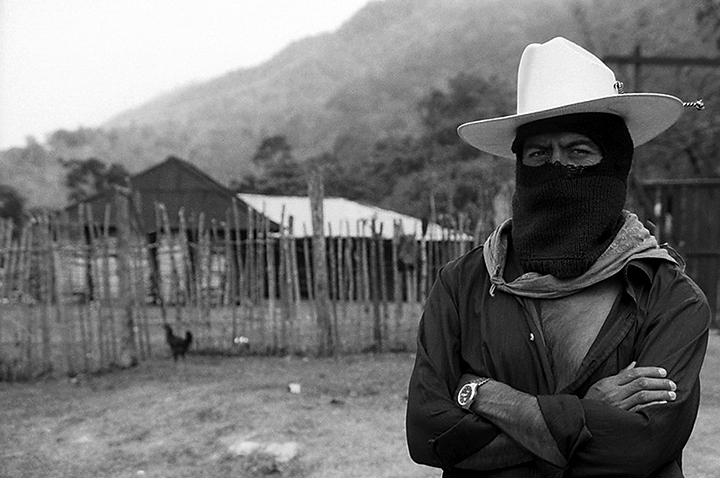 He has worked behind rebel lines to document the struggle of the Zapatista Army of National Liberation (EZLN) in Mexico. 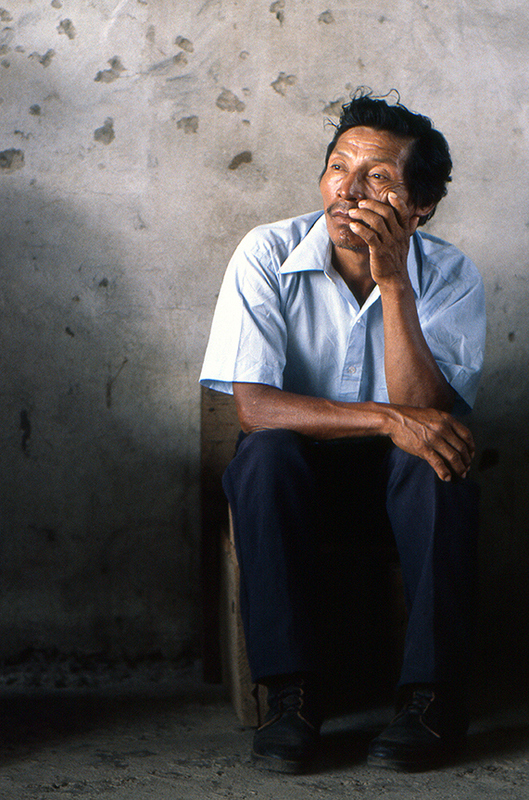 He also co-produced the film Lacandona: The Zapatistas and Rainforest of Chiapas, Mexico to expose the links between the destruction of the resource-rich Lacandon rainforest and the conflict of the government and the Zapatistas. 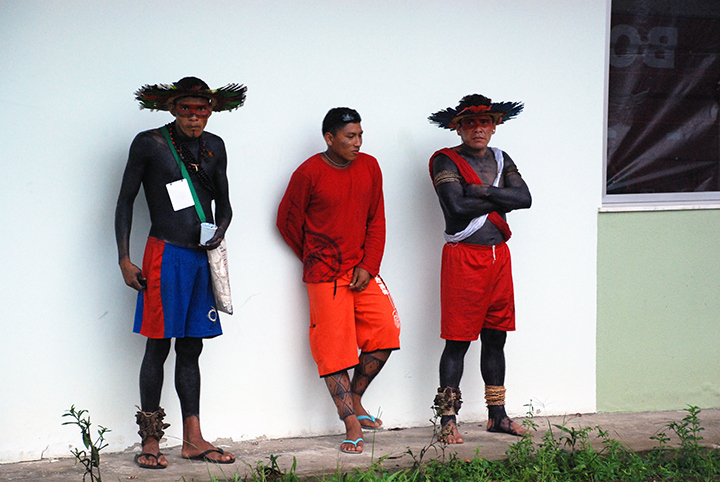 Langelle has also documented Indigenous movements in Brazil, Nicaragua, Chile, Paraguay, James Bay, Quebec, Indonesia, Kenya and across the US. He has photographed and participated in forest protection campaigns, protests, direct actions and other events at national and international forums including UN climate and other summits, World Bank meetings, the U.S. Democratic and Republican Conventions, the World Water Forum, the World Social Forum, and meetings of the G8 and G20. Awards: In 1988 and 1989 Langelle received awards from Environmental Action Magazine for “…recognition of photographic excellence in exploring humanity’s effect on the earth and action to protect the environment. Publications: Langelle’s photographs have appeared in numerous print and online publications from La Jornada, to USA Today, and have illustrated numerous book covers. Exhibits: Langelle’s photography has been displayed in New York City, Buffalo, NY, Boston, Washington, DC, Madison (WI), San Francisco, Santa Cruz (CA), Eugene (OR), Vermont, Copenhagen, Denmark, Amador Hernandez, Chiapas, Mexico, Amsterdam, Netherlands, and Campo Loro, Gran Chaco, Paraguay. TAL: How and when did you start creating art? OL : I became active in the struggle to stop the Vietnam War in 1968 following the police riot against nonviolent protesters at the Democratic National Convention in Chicago. I began teaching myself photography in addition to being an anti-war organizer and journalist, and my first assignment was documenting the protests at the Republican National Convention in Miami Beach in 1972. TAL: What media and genres do you work in? TAL: Who or what are your influences? OL : Robert Capa, Henri Cartier-Brisson, W. Eugene Smith and other concerned photographers influence my art. Indigenous Peoples around the world standing up against all odds to protect their communities, lands and livelihoods inspire my passion for social and ecological justice. TAL: What was your inspiration for : “Comandante in La Realidad, Chiapas, Mexico—headquarters for the Clandestine Revolutionary Indigenous Committee, General Command of the EZLN (Zapatista Army of National Liberation)”? OL : On January 1st, 1994, the Zapatistas, a small group of Indigenous Peoples In Chiapas, Mexico, rose up against the government of Mexico in protest of the North American Free Trade Agreement, which they called “a death sentence for the Indigenous Peoples of Mexico.” The defiance of the Zapatista struggle to defend their land and livelihoods in the face of extreme repression and military might was my inspiration for this photo. TAL: Describe your creative process. OL : I attempt to capture, what noted photographer Henri Cartier-Bresson describes as ‘the decisive moment.’ To me this decisive moment is the instant a visual image is recorded—when light, composition and the subject unite. As a concerned photographer, my goal is not just to document and expose the harsh reality of injustice—much of which is linked with the struggle for the land—but to inspire viewers to participate in changing the world, while helping empower those striving for justice because they know that photographs of their struggle are revealed to a larger audience. TAL: What are you working on currently? OL : I am currently reviewing and four decades of my work. I am also collaborating with the Clean Air Coalition of Western New York to document the effects of the Peace Bridge that spans the Niagara River and connects the Canada to the U.S. Ever since the North American Free Trade Agreement (NAFTA) went into effect in 1994, commercial traffic has increased with trucks idling on the bridge and in customs for hours on the NY side. These toxic diesel fumes are having major impacts on the health of the people in Buffalo, NY. 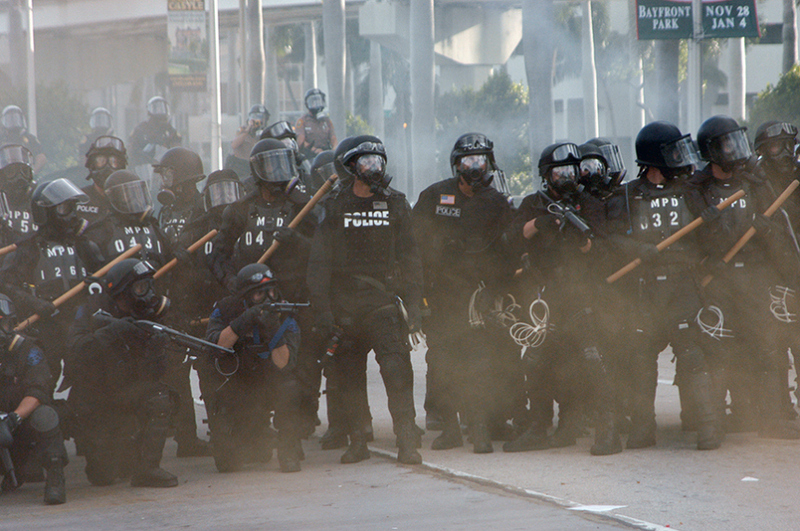 The Latino community, which is closest to the Peace Bridge, is the first and worst impacted. I will document this community and tell the stories of the residents and their suffering due to this unjust situation, with the aim to raise awareness of the problem and help change it. TAL: What are your near/long term goals as an artist? OL : My near term goal is collaboration with the Clean Air Coalition of Western NY (described above). My long term goal is to putting my photographs—which document decades of the global struggle for soclal and ecological justice–in order so it can be used to counter the societal amnesia from which we collectively suffer. This is not merely a chronicling of history, but a call out to inspire new generations to participate in the making of a new history. For there has been no time when such a call has been so badly needed. TAL: Where can people view/purchase your work? Today Global Justice Ecology Project is proud to launch the new website PhotoLangelle.org for Langelle Photography, a program dedicated to using the power of photojournalism to expose social and ecological injustice. 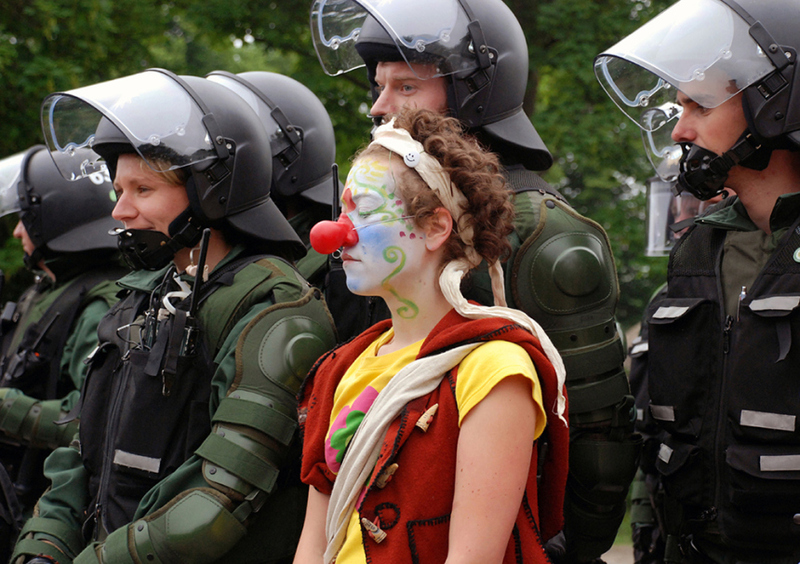 The website features the work of photojournalist Orin Langelle. Langelle is Co-founder of Global Justice Ecology Project and from 2003 to 2012 was the Co-director/Strategist for the organization. He now is the board chair and is focused on compiling his four decades of concerned photography. We invite you to tour this beautiful new website, which is loaded with poignant portraits, dramatic protest photos and photos from Indigenous communities all over the world, among many others. 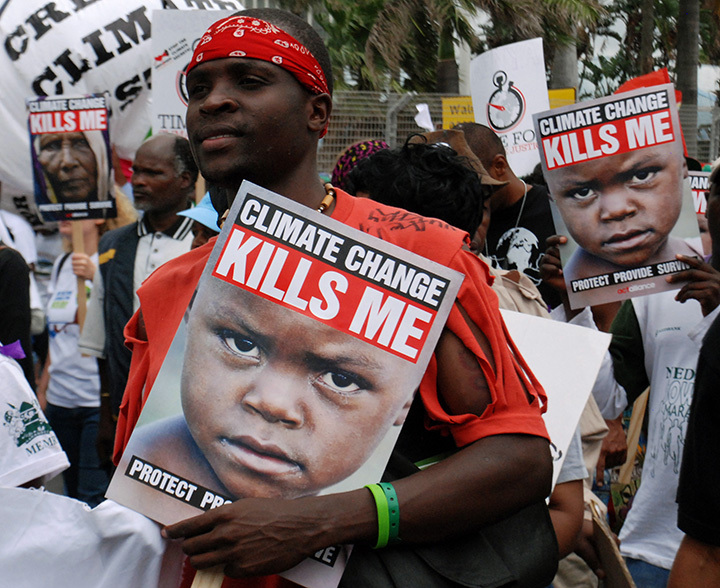 Protest during Durban, South Africa’s United Nations Climate Conference, 2011.